Lack of hygiene facilities has been a constant source of worry and frustration for Beraca Medical Center and House of Hope orphanage. Patients at the hospital are treated by doctors but become even more ill from infections. Weak children are also at risk. 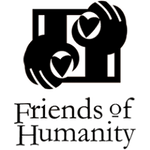 So building a septic treatment facility has been a big priority for Friends of Humanity. We are happy to say that now progress is visible. We are also working closely with the staff of Beraca Medical Center to upgrade their facilities, including the hospital laundry, the OBY/GN department, and a sterile lab. The laundry, bio-med lab, and septic treatment projects. We have also successfully organized the pharmacy. We plan to improve training and best practices at all levels.